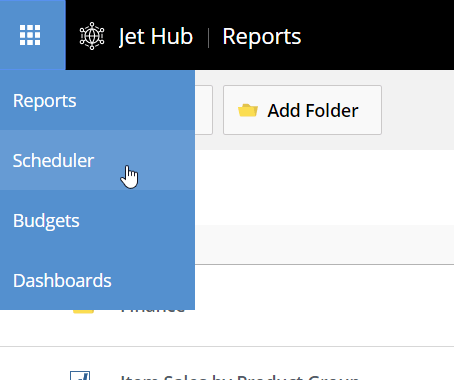 Using the Scheduler feature of Jet Hub, you can easily set one or more of your Jet reports to run on a monthly, weekly, daily, or even more frequent basis and be distributed via email. 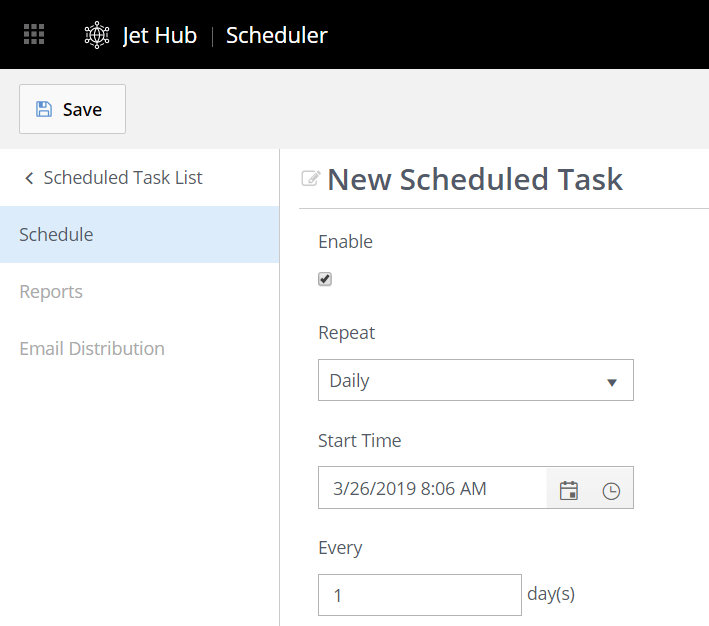 Access anywhere – you can create and manage your scheduled tasks from any internet-connected device through a simple web browser. You no longer need to have Excel open on your local computer. Fast to configure – the web-based scheduler is very simple to configure – an admin can supply the SMTP settings and the configuration is done. 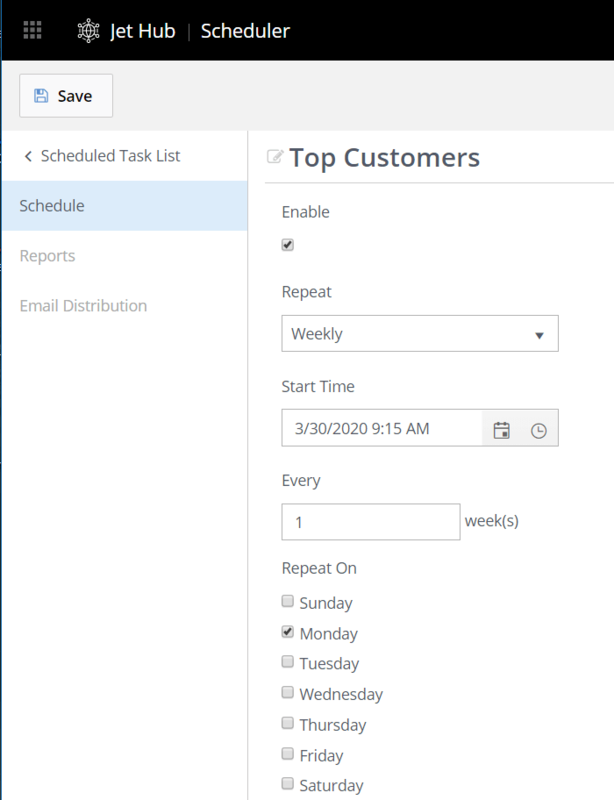 The scheduler works 24/7 on the server – so there are no user permissions to configure on your local computer. 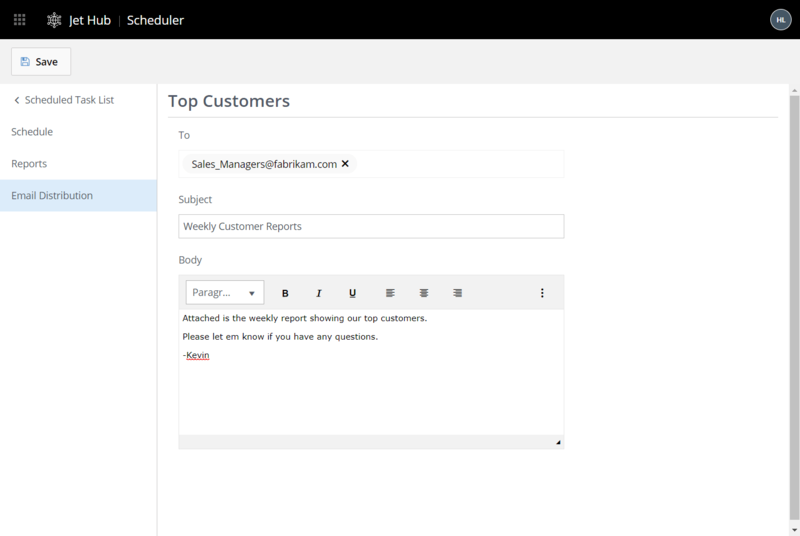 In this example, we've scheduled the "Top Customers" task to run each Monday at 9:15am.